Bring science to life with these low-cost, easy experiments! 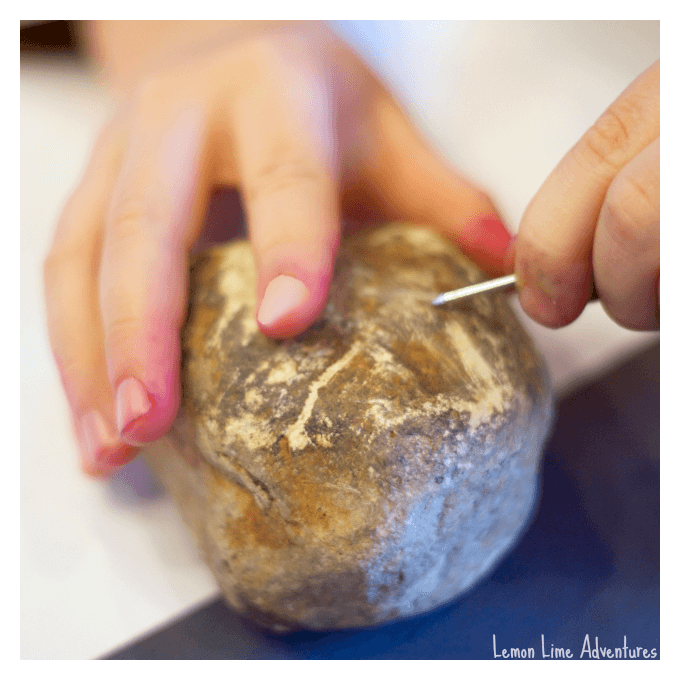 Here are hands-on ways to teach earth science including landforms, rocks, minerals, and more! 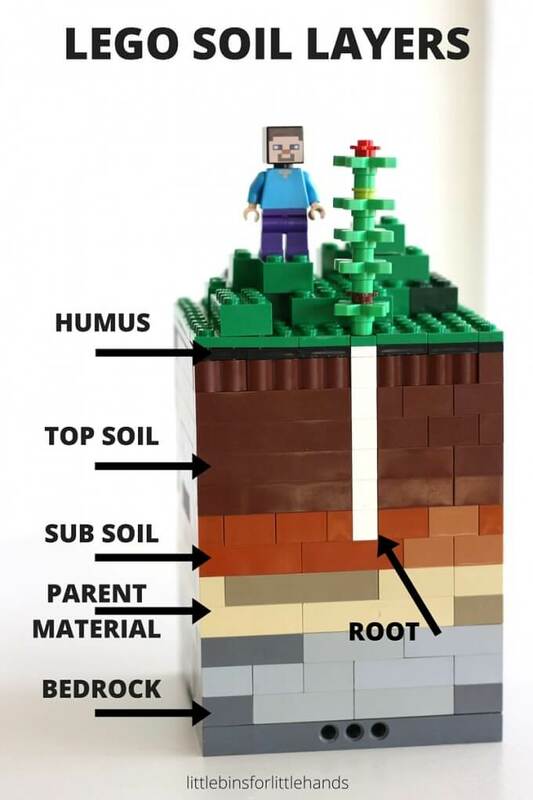 Teach soil layers with LEGOs. Have a bunch of LEGOs on hand? Use them to teach the different layers of earth’s soil! Or, make edible soil layers with pudding. Try this edible soil layers activity, involving pudding, Oreos, and more delicious treats! Start with bedrock, and end with the plants that we can see growing! Use flashcards that teach hands-on examples. 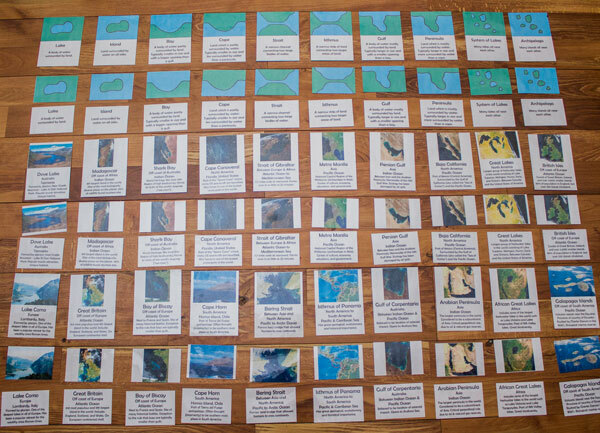 These free printable Land and Water Form Cards combines definitions with real-life examples, making terms easier to connect with an image. Create an edible cookie island to teach landforms. Grab a giant cookie and create an island! Along the way, learn about the different types of landforms and label each part. Make fold mountains with towels. 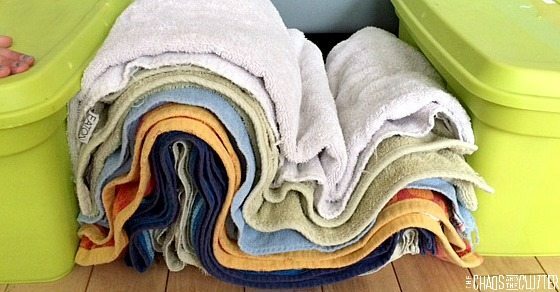 Recreate fold mountains with some towels! This simple activity, only requiring towels and bins, is a visual way to teach how fold mountains form! The kids will love it! Flipbooks are a great way to help upper elementary students visualize terms. Ginger Snaps has a perfect free template to help get you started. Plus, students can color them in! Create a 3D salt dough maps. 3D salt dough maps can help teach geography and landforms! It combines a little bit of art, a little bit of science, a little bit of math, and a little bit of geography! Their 3D nature also makes them tactile. Use kinetic sand and glass gems. 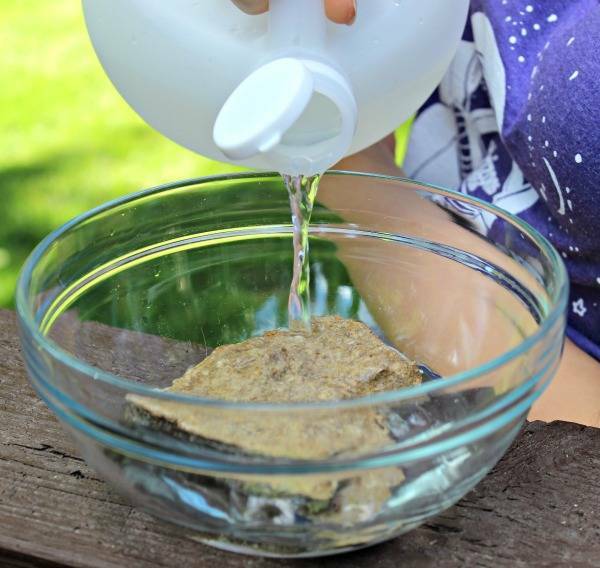 One mom used kinetic sand and glass gems to explore water in this montessori inspired activity. Geodes are sedimentary rocks that have crystals inside. 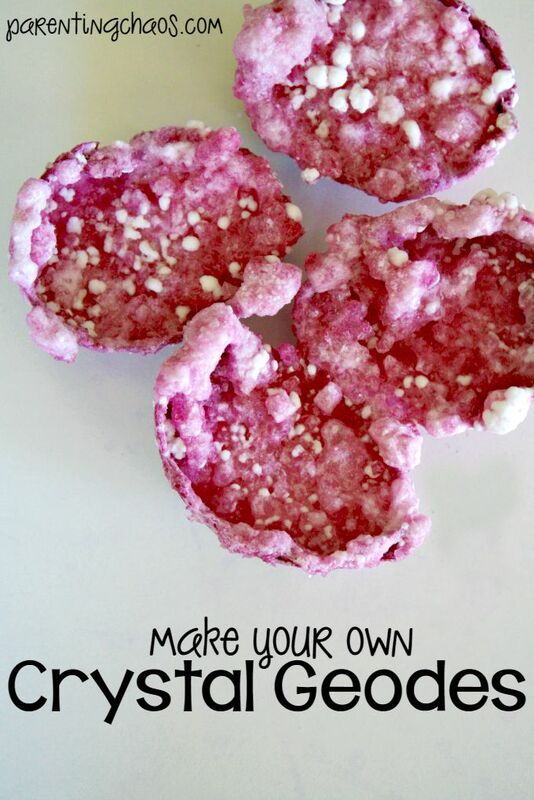 Create your own crystal geode easily with household items! 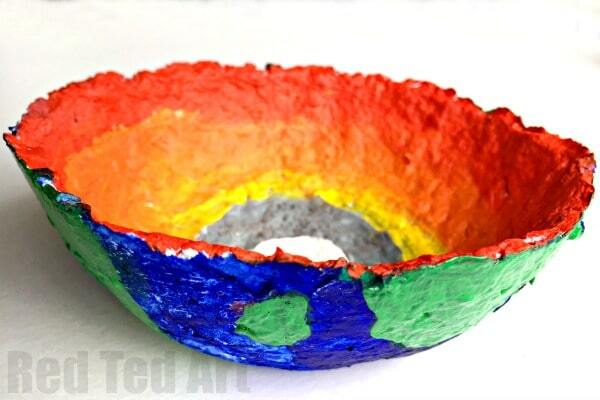 Use shredded paper to make layers of the earth bowls. See the tutorial for this recycled project, great for science fairs. 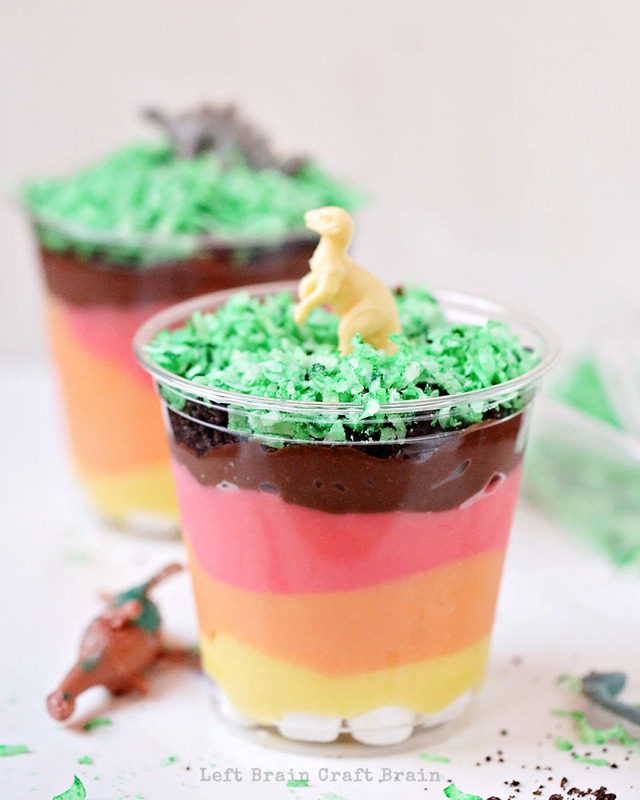 Create the layers of the earth with pudding cups. Recreate the different layers of the earth (crust, mantle, outer core, inner core) with delicious pudding cups in this sweet activity. Or, make the layers of the earth with play dough. Play dough is a simple and frugal way to teach the layers of the earth! Not wanting something super messy? Try it with LEGOs. 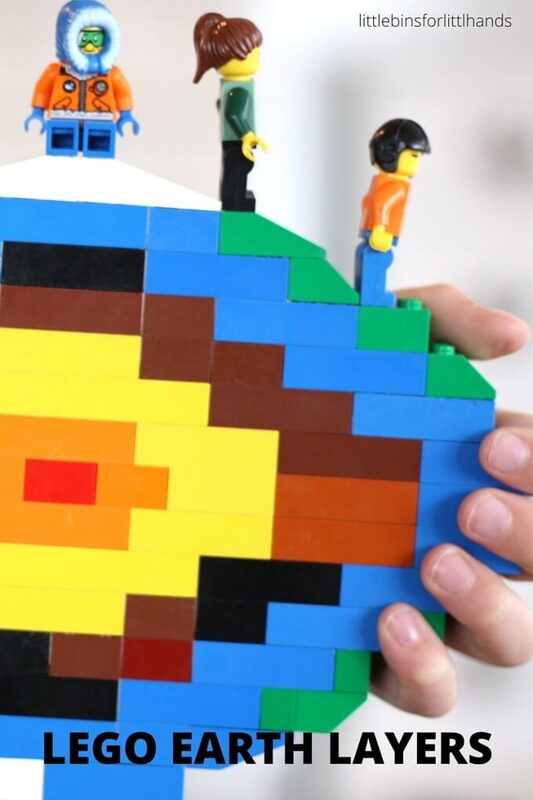 If you’re wanting something visual without the mess, try LEGOs. See the full tutorial here. Discover how earthquakes work by making your own. Using a slinky, discover the effects of lateral earthquake motion. Create your own rock scratch test. Explore rock hardness with this easy scratch test. Make a rock exploration center. 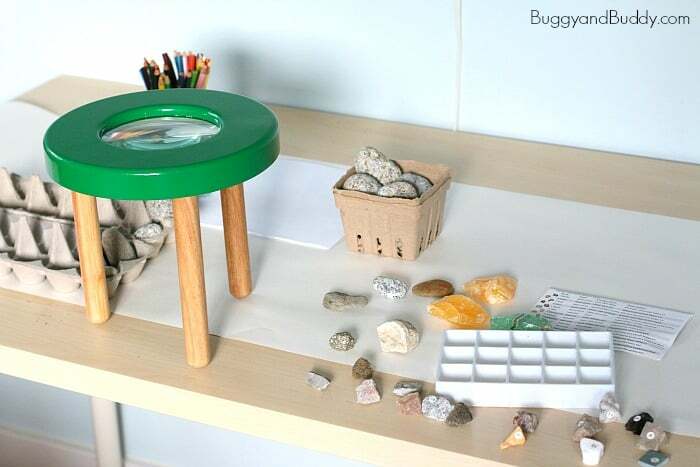 Gather rocks from different areas and create an exploration center, letting kids explore freely. Teach plate tectonics with graham crackers. With a regular notebook, turn it into an interactive notebook with these rock cycle materials. 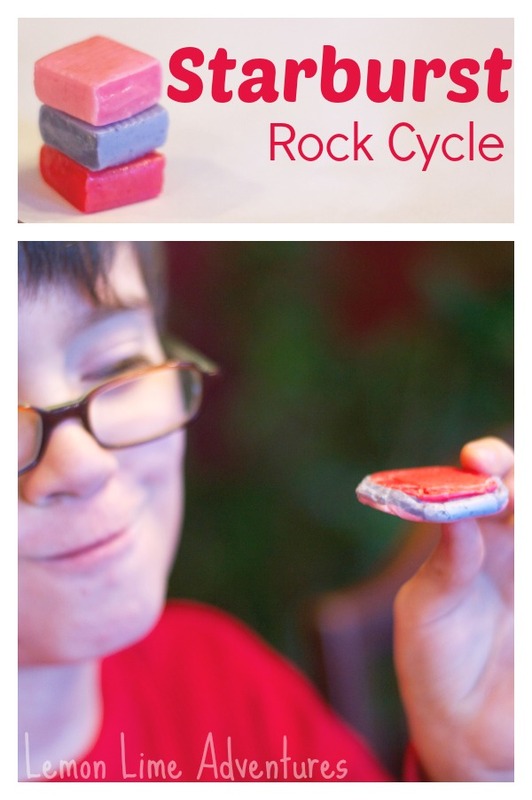 Use Starburst to create an edible rock cycle. With different colored Starburst, learn about the three main classes of rocks, sedimentary, metamorphic and igneous. It’s a creative way to make sure the three types of rocks stick! Use marshmallows, Cheerios, and other small foods to teach soil layers. Teach soil layers, the edible way! You can mix and match with what you have on hand or what’s easiest for you, but this first grade teacher’s experiment is simple, memorable, and fun! Test rocks in your own backyard. Go outside and grab rocks in your own backyard! Learn how to test out rocks to learn what type they are.